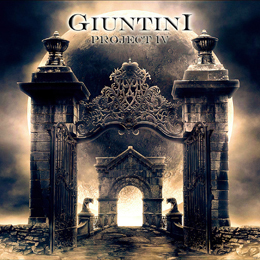 I had never heard of Aldo Giuntini or for that matter of the Giuntini Project yet its seems he’s an Italian guitar Wizardand has released three prior Giuntini Project albums between 1993 and 2006. This now is his fouth album for which he’s once again enlisted the aid of former Black Sabbath singer Tony Martin. And it shows that Tony has been in Black Sabbath, because some of the songs on this album, take for instance ‘Born In The Underworld’ could have easily featured on a Black Sabbath album. So needless to say that if you’re a fan of Black Sabbath, or even Dio, this album is not to be missed. The songs are good, the guitar work is great, and despite almost being a sexagenarian, Tony’s voice has lost none of it’s power.